When Carlos Sanchez went for a shower as early as the third minute in Colombia’s 2018 World Cup opener against Japan, it all looked over before it even started. Los Cafeteros had suffered the worst imaginable start to their World Cup campaign – 1-0 down and reduced to 10 men. 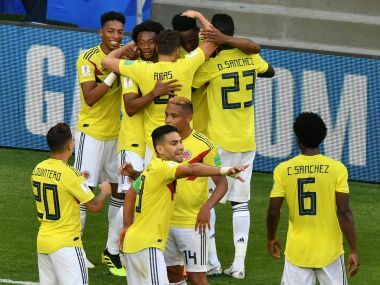 Ninety odd minutes later, despite a spirited fightback, Colombia were condemned to a 2-1 defeat as Japan worked them into running on empty tanks by the end of the match. Over in the other opening group game, Senegal’s win over Poland had confirmed Colombia’s place at the bottom of Group H, a damning indictment of the best team in the group. 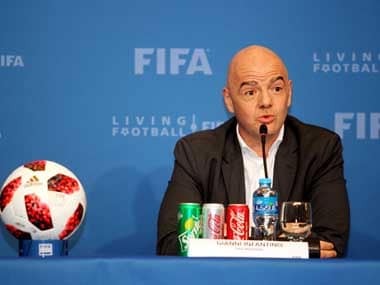 However, as swift as Colombia’s capitulation against Japan on 19th June had been, their recovery to finish the first round as the winners of their group has been just as impressive. Jose Pekerman’s team showed remarkable tenacity and belief to finish ahead of both Japan and Senegal, a feat that looked impossible only 10 days ago. Behind Colombia’s resurgence have been two unlikely sources. While Pekerman had to tinker with his midfield engine room following veteran Sanchez’s red card suspension, two players stood up and almost single-handedly became responsible for Los Cafeteros’ back-to-back wins to close out the group stage on a high. It’s been almost six years since Juan Quintero made his Colombia debut and in all these years, the attacking midfielder has had less than 20 caps for the national team, not quite living up to expectations after famously bursting on to global consciousness in the 2014 World Cup with his maiden Colombia goal. It may have taken four years for Quintero to rediscover his magic but boy, has he timed it well. Quintero has been the most influential Colombian player in Russia, outshining the more-vaunted Radamel Falcao and James Rodriguez. It was his free-kick goal against Japan that briefly sparked a Colombian comeback before things fell flat, and it is his playmaking abilities that have carried Los Cafeteros into the knockouts. 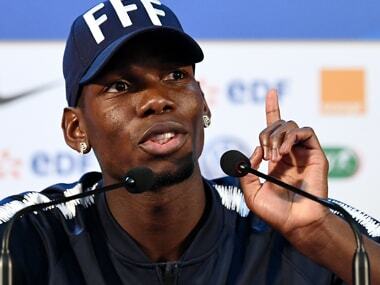 The 5 '6 player with a wand of a left foot currently leads the World Cup assists leaderboard and has had more key passes than any of his teammates. No surprise then, that the winner against Senegal was a result of Quintero’s expertly delivered corner kick. That delivery was powerfully headed in by Yerry Mina, another of Colombia’s unheralded stars making all the right noises. Mina wasn’t even in the starting XI for that Japan game, but it was his presence in the subsequent fixtures that could be said to have turned the tide in Colombia’s favour. After his two headed strikes against Poland and Senegal, Mina is now the highest scoring defender at this World Cup, suggesting that, like Quintero, peripheral stars have been instrumental in Pekerman’s team reaching the Round of 16. The presence of Mina at centreback has also coincided with the return to form of Davinson Sanchez, who looked shaky against Japan alongside the experienced Oscar Murillo. Mina and Sanchez’s partnership at the back has now seen Colombia keep consecutive clean sheets. Furthermore, in their last two matches, Colombia have conceded just five shots on target compared to six against Japan alone. "What I can say is I'm extremely concerned, it's a very tough situation for my team," Pekerman said about James Rodriguez in his post-match press conference. While it made sense for Pekerman to sound downbeat about star man Rodriguez’s injury that forced him off in the first half, the 68-year-old Argentine will be pleased with the way others in his team have stepped up. Quintero and Mina aside, goalkeeper David Ospina has also been a zen figure at the back. His calm, stolid disposition in front of goal has helped settle nervy moments, while his experience has clearly helped Mina and Sanchez ahead of him. With their game against England in the Round of 16 looming, Pekerman would have liked his superstars to be in peak shape but the top form of the support cast is something more than what he’d have bargained for. Falcao has been among the goals but the Monaco man has often ploughed a lone furrow up top. However, with Quintero in fine fettle behind him, expect the captain to latch on to a few more eye of the needle balls and finish them off. England might be rejoicing finishing second in their group, but Colombia are more than the household names in their squad. With Quintero, Mina and Ospina in top form, and the mercurial Luis Muriel also carrying an edge, Colombia have a bunch of little-known stars who could do more damage than what seems to the eye. On the back of it all, Los Cafeteros have every reason to believe in their ability to beat any team as they head into the knockouts.